Commissioner Gregory Parker digs into the latest political issues. If there is one thing that is certain it is that we have come to not only expect but we require the existence of a “Boogey-Man.” On April 20, 2011 President Obama speaking to community college students and others in Virginia delivered on expectations and informed us that the villain behind our current energy woes was the boogey-man known as the dreaded “SPECULATOR.” He (they collectively) were responsible for driving gasoline prices higher. So what is a speculator you ask? A speculator is one that takes large and unusual business risk to gain financially from anticipating future price movements. As a professor of government and understanding public policy and the economy as I do, I know that federal reserve policy, foreign affairs and speculation do play a part but can we definitively link the current spike in the price of a gallon of gas only to speculators or is this yet another example of baiting and switching the American public. Speculators operate their business based on anticipating what will influence the price, they have no real control over world events. Speculators didn’t fire up their weather machines to create storms nor are they responsible for the tensions in the Middle East and most importantly speculators don’t possess the bully pulpit. President Obama has only himself to blame for creating an atmosphere of anti energy (oil, gas and coal specifically), which in turn leads speculators to see future risks. We all remember the famous declaration by candidate Obama when he declared that he was going to “Fundamentally change America” and the statements made during the campaign that in order for his green agenda to be realized “the price of energy would necessarily have to skyrocket.” Some of his rhetoric could be attributed to bloviated campaign exuberance but as we have witnessed this is less about rhetoric and more about action. Secretary of Energy Steven Chu was quoted as saying “Somehow we have to figure out how to boost the price of gasoline to the levels in Europe.” This statement was made in September of 2008 and if you were an oil speculator what would you be thinking? In order to make a real case when it comes to responsibility we need more than just words, we need examples of action as well. According to the Institute for Energy Research some, but not all, of the clearest examples of action to stop energy production are as follows: The administration withdrew 77 oil and gas leases in Utah, this could represent a loss to American taxpayers of millions in lost production royalties and more importantly new jobs. The administration delayed oil shale research that would help advance American technology and create high-tech jobs. The administration supported cap-and-trade legislation that could cost American families more than $3,100 a year in higher energy cost. The administration ordered the cancellation of the Navajo Nation power plant that prevented the Navajo nation from creating new jobs and reducing its 42% percent unemployment rate. The administration revoked an already issued permit to a West Virginia coalmine operation that cost 250 American jobs. These are just a few of the examples. Speaking of American jobs; President Obama visited Brazil and issued a promise to be a great trading partner and vowed to assist their county in creating jobs all the while killing an estimated 13,000 jobs in the gulf region and 19,000 nationally by imposing a moratorium on drilling in US water. Yes lets be clear the moratorium on shallow and deep water drilling was lifted by a federal court, yet the administration’s slow permitting has effectively continued the moratorium on offshore deep water drilling, placing the entire Pacific, Atlantic, Gulf and parts of Alaska essentially off limits to energy production. All the while a CNN polls shows the US public supports offshore drilling by 69% and the support for global warming is in free fall. So now we can revisit the “Speculators” and their role in the spike of oil, the path America finds herself on in relation to its energy future. Is it the guys whose job it is to guess where the price of oil will be in the future or is it the guy who set our country’s energy policy or dare I say anti oil, gas and coal policy? The guy who can suspend oil exploration with the flick of a pen? The guy who sends his minions out to tell Americans we need to see prices at the pump that resemble those in Europe? The guy who has stated that in order for his green agenda to be realized energy prices would have to skyrocket? I guess in the end I don’t have to ask, it’s abundantly clear. In the end this issue isn’t all that different from any other facing this nation, there are two competing sides and in politics as it is in life there always has to be a winner and a loser, a right side and a wrong side and the challenge is as it has always been, informing yourself and choosing correctly. The Congressional Research Service as stated that the USA has by far more energy resources in reserve than any other country in the world. In fact we are the only country in the world that seriously restricts access to such resources. It is my humble opinion that the real goal should be to balance and blend the responsible utilization of this nation’s energy resources while maintaining a strong vibrant economy. This means doing things that create jobs and opportunities for Americans first. The fact is any comprehensive energy plan must utilize all of the tools in Americas energy toolbox, wind, solar, nuclear, domestic oil, natural gas, and yes, even clean COAL. 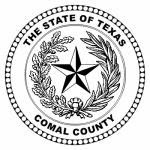 Commissioner Gregory Parker was elected to the Comal County Commissioners Court on November 2, 2004 and again in November 2008, where he became the first African American elected to a Comal County office and the youngest person to win election as a county commissioner. Since taking office Commissioner Parker has been a driving force and tireless supporter in the fight to reduce child abuse and domestic violence. He has fought to protect your tax dollars by exposing financial mismanagement in local agencies, he has worked with his colleagues to offer new educational benefits for county employees; to preserve land for future generations and to protect private property rights. Commissioner Parker is a member of the International Association for Energy Economics, the United States Association for Energy Economics, the American Society for Public Administration, Section on Environmental and Natural Resource Administration, the Texas Oil & Gas Association and the author of the book “Global Warming…Really?” which was chosen “book of the week” by the Conservative Monitor. He can be reached at gparker@gregparkeronline.com.